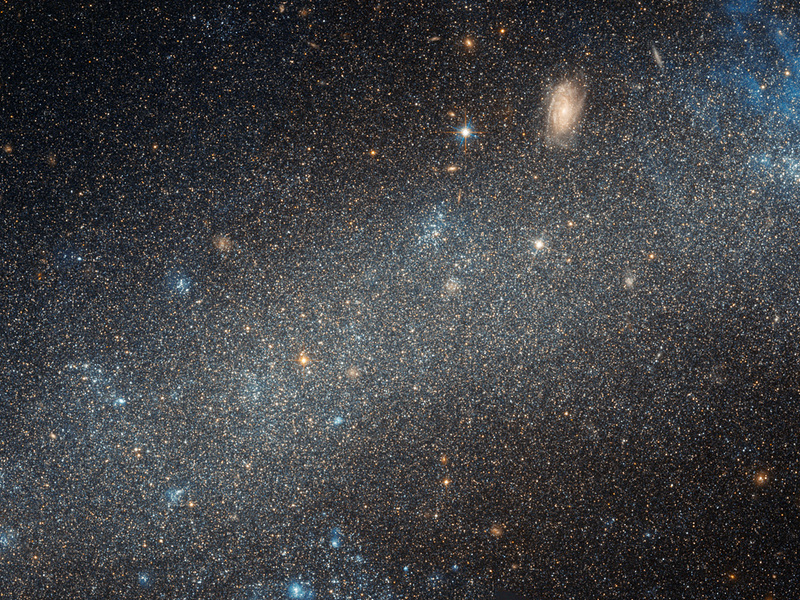 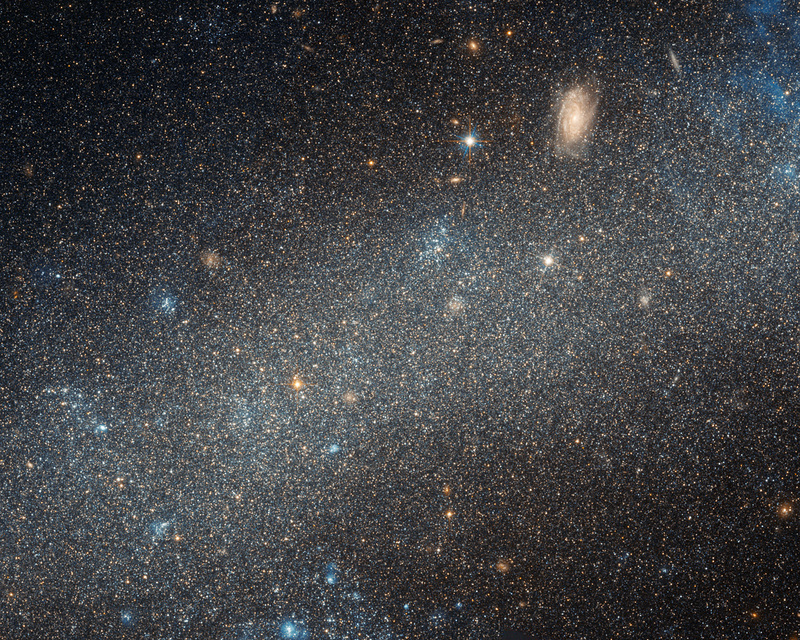 The NASA/ESA Hubble Space Telescope has made detailed observations of the dwarf galaxy NGC 2366. 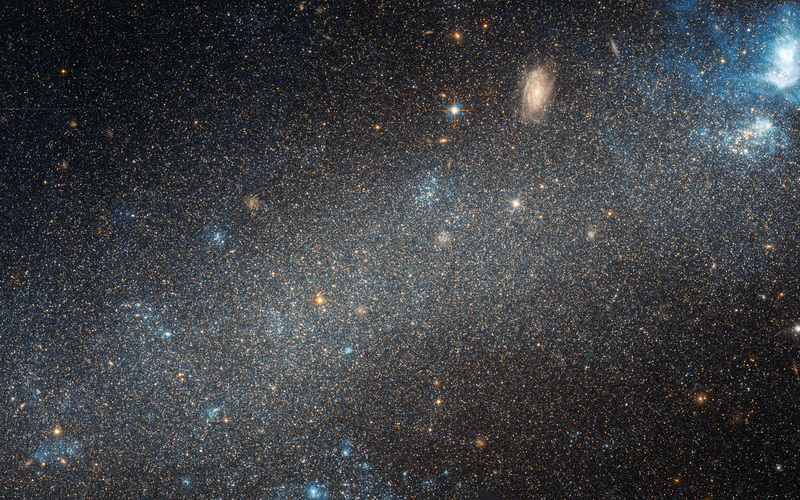 While it lacks the elegant spiral arms of many larger galaxies, NGC 2366 is home to a bright, star-forming nebula and is close enough for astronomers to discern its individual stars. Position (Dec): 69° 12' 47.68"